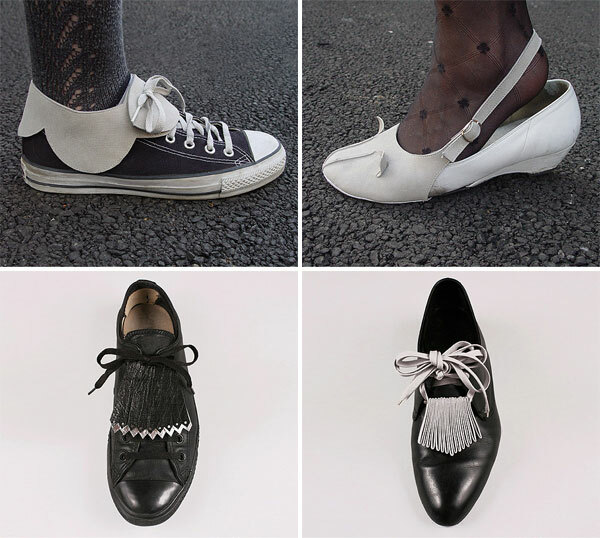 A shoe sock, a slingback cat mask, golf shoe lace protector, and a shoe mustache. A leather bag in the shape of an A6 notebook, with a chained pencil for the handle. I can’t tell from the pictures if this is meant to function as a bag or as a notebook…UPDATE: The bag is indeed a carrier for an A6 notebook. It is made from an A4 sheet of vegetable tanned leather. 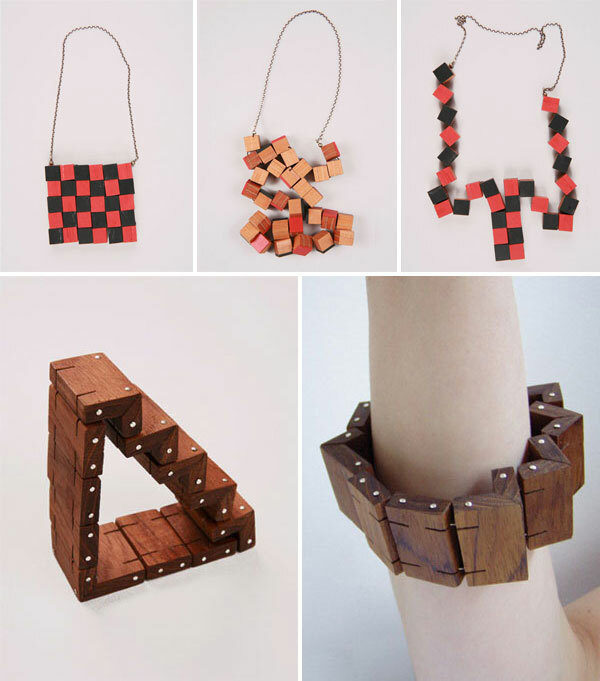 A series of necklaces using miniature turned wooden legs.